Present owner: Andover Committee for A Better Chance, Inc. This lot of land was purchased by Amos Blanchard, Esquire, from Isaac Abbott. 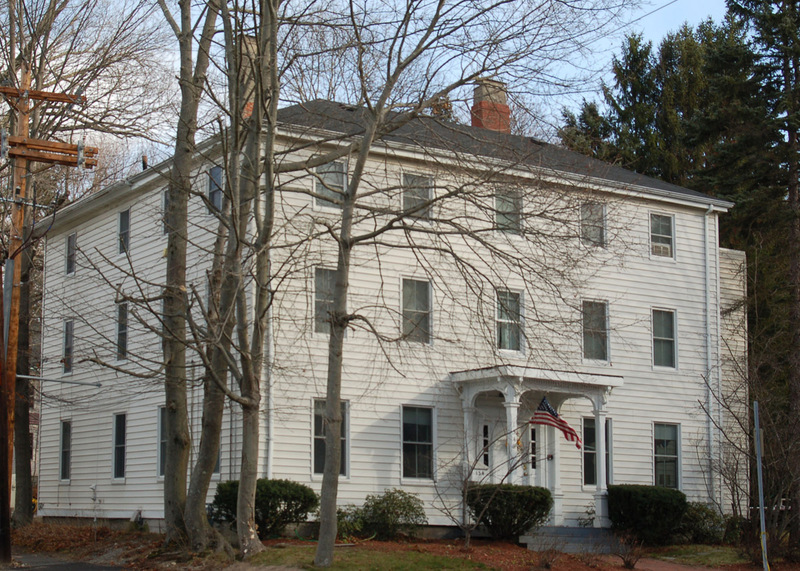 Blanchard built his home at 97 Main St. in 1819, now the Andover Historical Society. Amos Blanchard hired John Brown, carpenter and housewright of New Hampshire to build his home. John Brown purchased this lot from Blanchard on June 25, 1821 for $330. Brown had borrowed the funds from the Ministerial Fund of South Parish to pay for the lot of land. John Brown then built the Federal Style home on this lot. Brown and wife Cynthia owned the property for six years then sold the property to Samuel Valpey, gentleman and Merrill Pettengill, blacksmith for $2600. on Oct. 27, 1827. Brown built other homes in Andover before moving to Bangor, Maine. The following month the property was then purchased by Rev. Aaron Greene. Reverend Aaron Greene was retired Unitarian minister, age 62 when he moved to Andover from Malden in 1827. Aaron was born on Jan 2, 1765 in Malden, MA, son Ezra & Mary (Vinton) Green. Aaron graduated from Harvard in 1789 and was ordained in Malden on Sept. 30, 1795. He married on Dec. 13, 1796 to Eunice Orne b. 1771 in Lynnfield, MA. Rev. Green resigned his pastorate in Malden and then moved to Andover. They had five children; John Orne Green b. May 14, 1799, Charles Reynolds b. Dec. 28, 1806 d. young, Caroline b. June 25, 1803, George b. May 12, 1801 and Charles Reynolds 2nd b. Oct. 16, 1810. His son John Orne Green was a physician in Lowell. Daughter Caroline married William Blanchard of Andover on May 10, 1836. George married Martha Dana of Charlestown, MA on Jan 28, 1837. Morton St. was once called Green Street for Rev. Green, later called Pike St. after Willard Pike and then Morton Street after Judge Marcus Morton. Rev. Green is said to have added the third story to the Federal Style house creating additional bedrooms for boarders. 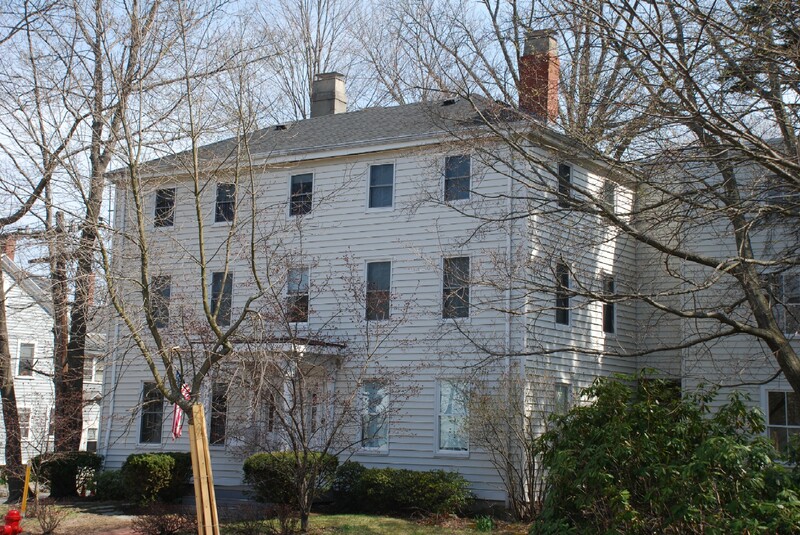 The house is similar to Samaritan House, Pease House, Squire Farrah House at Phillips Academy and the Amos Blanchard House now home to the Andover Historical Society. Lowell MA - Lowell Park Service document "Green Family Diaries: The Reverend Aaron Green and (his son) Dr. John O. Green. Five diaries of Aaron Green span the years 1791 to 1853; nine diaries of his son span 1816-1885. This document has Rev. Green's death as December 23, 1853, in Andover at his home. May 16, 1857 AA – Household furniture at auction at the house of Rev. Aaron Green – lists all the items on May 21. June 15, 1866 Andover Advertiser – “Nathan Ellis has purchased the estate on Main Street formerly owned by the late Dr. Green.” Nathan Ellis was born in Blue Hill, Hancock Co., Maine on Nov. 10, 1812, son of Amos & Hannah (Hill) Ellis. Nathan married at Blue Hill on December 20, 1836 to Susan Lovett Gardner b. Nov. 1, 1812. They had three daughters born to them while in Maine; Elizabeth P. b. Feb. 4, 1840, Maria H. b. Aug. 29, 1841 and Ellen Gardner b. Dec. 9, 1843. Nathan was a Painter by trade and had relocated to Andover by 1850 as he is listed in the Federal Census. They lived in a large house as they had sixteen boarders, 7 boys age 16-25 attending Phillips Academy and 7 Girls ages 15-24 and 2 women, there is no notations given as to what the girls occupations were. By 1860 Ellis is listed as a Shoe Manufacturer. His wife Susan was a Boarding Housekeeper. Daughters Elizabeth is a servant, Maria H. a music teacher and Ellen G. just 16 had no occupation. Only three boarders are listed in the house with them; Almira Ellis age 59 from Maine a servant. She may have been related to Nathan. Johanna Farley age 23 and Margaret Buckley age 25 both servants from Ireland. Ellis may have rented the house prior to owning but in 1870 he has eighteen boarders living in the house along with his wife and two daughters. 15 boys were enrolled at Phillips Academy and hailed from; Mass. 5, NY 3, Illinois 2, Ohio 2, Virginia 1, Wisconsin 1, Maine 1, and one from Ireland. Three women Hannah M. Holbrook age 58 was boarding, Hannah Driscoll 19, from Ireland servant, and Emeline Rawdall age 19 from Ohio listed as a student at Phillips Academy. As the academy only enrolled boys it may be in error. Emeline may have been at Abbot Academy or the Female Academy held in a private home next door at 148 Main. St. The 1880 census lists the Ellis family with 13 boarders, 2 girls as domestic servants, 4 boys as students at the academy and 4 young men at the Andover Theological Academy. Also listed as boarders are Samuel P. Phillips age 51 a Stock broker, his wife Sarah W. 51 and daughter Sarah Phillips age 22. Of the Ellis family, Maria’s husband Rev. Charles Stork died in Dec. 1883. Susan L. Ellis wife of Nathan died on March 6, 1889. Daughter Elizabeth died Apr. 24, 1892 and Nathan Ellis died on Dec. 17, 1898 at age 86. Maria H. (Ellis) Stork died Feb. 26, 1913. Ellen G. Ellis was the last remaining survivor besides her niece and nephew. She died Oct. 29, 1928. The Ellis family are interred at South Church Cemetery. Ellen sold the property and house to George A. Stewart in Nov. 1927. One portion of the property had been sold off to Bertha S. Bradford in 1919. George A. & Irene Stewart had been living on Holt Rd. and move here with their two children Lucy C. b. 1904 and Alexander b. 1909. George was born in NH in 1873 and married in 1903 Irene A. b, 1874 in Kentucky. George was a cashier in a wholesale beef company but later opened his own grocery store at 8 Essex St. in the former Smith & Manning store. By 1940 George had retired. Their daughter Lucy was a book keeper for Old Colony Trust Bank in Boston. Son Alexander became a Commissioner for the U.S. Labor Department. The Stewarts continue with the boarding house tradition of the house renting rooms to adults and had from five to seven boarders living there in 1930-1940. George Stewart died Aug. 2, 1947. Irene's Estate was administered by their daughter Lucy C. who purchased the property from the estate in 1952. Their son Alexander Stewart administered the estate of his sister Lucy C. selling the property to David L. & Beverly Darling in Sept. 1954. The house has been used as apartments and income property until 1967. David quit claimed the property to his wife Beverly in Oct. 1966. Beverly was a realtor in Andover and she then sold the property to the Town of Andover via the Andover Committee For A Better Chance on July 28, 1967. "A Better Chance Inc." ABC and refurbished as a dormitory, with quarters for resident director's family. This organization is aimed at offering qualified minority students the same educational opportunities and academic future as students have in an affluent suburb with high educational standards. The program was established through Dartmouth College and Andover was one of the first communities to adopt the program. The students live here and attend Andover High School, taking part in school and community affairs with host families. 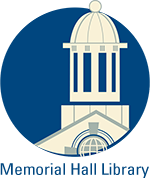 The first program semester began in September 1967 and was all male students. The program was changed to the an all female students program. House was remodeled in 1977 in order to accommodate the girls elected for ABC program. Interview with former resident directors. Andover Townsman: 1968, June 9 1977. Ellis Heirs, Ellen G. Ellis, et alli.